Fans of experimental music are increasingly well catered for in London. Cafe Oto, "East London's coolest venue" provides a platform for the avant-garde on a daily basis and promoters like Miles of Smiles and Upset the Rhythm curate regular inspired line-ups. Denovali Swingfest looks set to add to the variety on offer, a weekend of experimental, drone and modern classical in the intimate environs of Scala. The brainchild of Germany's Denovali Records, it marks the London launch of a festival showcasing the melodic side of experimentalism - suitable for the musically curious and the converted alike. The line brings an array of eclectic talent, with Britain represented by Andy Stott, whose brilliant "Luxury Problems" mixed molasses slow dub beats and haunting vocals, and was among our favourite records of 2012. James Blackshaw, the prodigious London-based 12-string guitarist will be treating us to his raga-influenced folk compositions. Elsewhere Omega Massif will perform their drone metal incantations, and a reinvigorated Thomas Köner will perform a masterclass in sound sculpture. Towering over the weekend, though, are performances by two titans of drone. 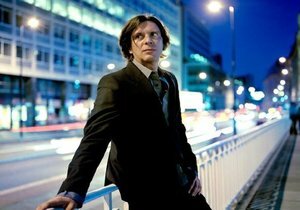 In the blue corner is Fennesz, the Austrian composer who crafts stunningly beautiful compositions from static, glitch and field recordings. Either solo or in collaboration with figures including Ryuichi Sakamoto, Jim O'Rourke and David Sylvian, he forges solemn hymns of decay and meditation. And in the red corner is a rare performance from New York composer, William Basinski — a man at the forefront of experimental music for the best part of 20 years. This year marks the 10 year anniversary of his seminal "Disintegration Loops", a series of corroding ambient tapes, the origins of which are as heartbreaking as their melodies. A recent reissue received a rare perfect score from a certain infamous music website — ignore the hype and witness these ethereal sounds firsthand. Check the Denovali website for more details and a wonderfully crafted playlist of the festival's featured artists.